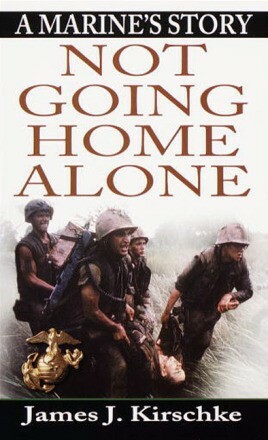 The story of a Marine in Vietnam, who survived the fiercest fighting and a severe explosion to write up his experiences. Kirschke led by example in the hotly contested zone just south of the DMZ and in the dangerous AnHoa region southwest of DaNang. Unfortunately, due to sales rights restrictions, we cannot offer Not Going Home Alone for sale in your country. The story of a Marine in Vietnam, who survived the fiercest fighting and a severe explosion to write up his experiences. Kirschke led by example in the hotly contested zone just south of the DMZ and in the dangerous AnHoa region southwest of DaNang. Kirschke’s units, with resources stretched to the limit, saw combat almost daily in the fiercest fighting of 1966. Sustained through the toughest firefights and bloodiest ambushes, the men’s morale proved a testament to Kirschke's leadership and his dedication to what the US Marines stand for. Those beliefs, and the faith of his men, in turn helped Kirschke through his long recovery after he was wounded by the triple explosion of a box mine rigged to an anti-tank rocket round and a frag grenade. The Marines’ legend and reputation are based on the blood, courage and discipline of warriors like Jim Kirschke. Sparing no one, he has written a powerful chronicle of the deadly war his Marines fought with valour.